VANATS 2019 registration is now closed. In order to see up-to-date schedules, you will need to sign in to the members page at nats.org. Once you sign in, you will find link under Members Home. We are very excited to announce Nicholas Pallesen as our guest clinician and Judith Cline will offer two Alexander Technique workshops. We look forward to seeing you March 1-2! Looking back on 2018 … looking forward to 2019. NATS Membership Renewal for 2019 is open Oct. 1 – Jan 1. Members should respect a student’s prerogative to obtain instruction from any teacher(s) of their choice, including concurrent study with another teacher(s). Transparency should be maintained among all parties. Members should refrain from making exaggerated claims or misleading statements concerning a student’s prospects for a professional career in music. They should not guarantee performances, professional positions or favorable contacts unless they can fulfill those promises. We would like to acknowledge and celebrate our VANATS teachers for their presentation of the following workshops at the National NATS conference in Las Vegas. Congratulations to our Students and Teachers – We are very proud of your diligent work and accomplishments! LAS VEGAS, Nev. – The final round of the NATS 2018 National Student Auditions (NSA) was held on Sunday, June 24, at the Tropicana Las Vegas during the 55th National Conference of the National Association of Teachers of Singing. More than $35,000 in prizes were awarded to our winners, who were officially announced to a standing room audience of teachers, collaborative pianists, parents, friends and family members. The George Mason University School of Music [Fairfax County VIRGINIA] is proud to announce CRYSTAL GOLDEN (MM ’19), soprano, is the First Place winner in the Graduate / Advanced College Women category of the 2018 National Association of Teachers of Singing (NATS) NSA Vocal Competition. The final competition round of the NATS 2018 National Student Auditions (NSA) was held at the Tropicana in Las Vegas, Nevada, on June 24, 2018 as part of the 55th National Conference of the National Association of Teachers of Singing. Crystal Golden is a student of University Professor Patricia Miller, director of Vocal Studies in the School of Music at George Mason. 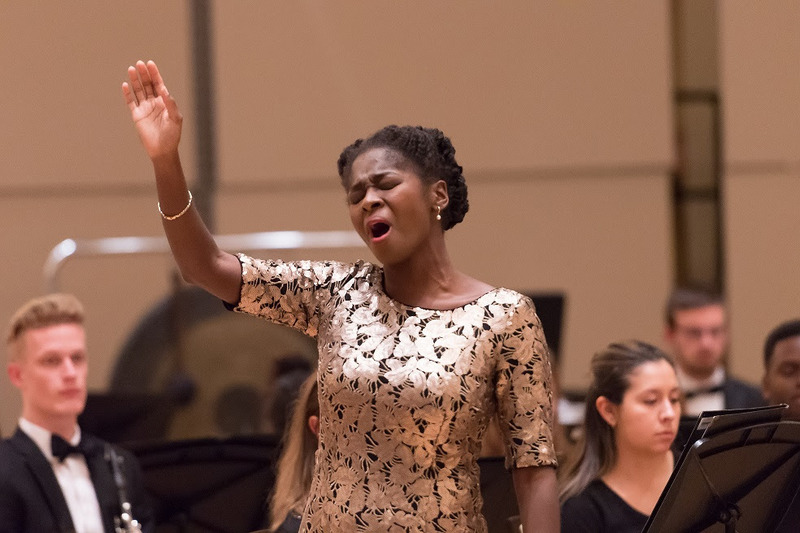 This is the first time a George Mason University School of Music student has won First Place in this prestigious National NATS Vocal Competition. 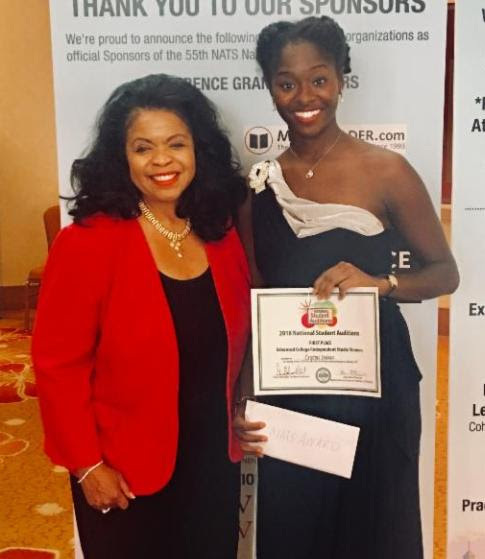 As national First Place winner of the NATS Graduate / Advanced College Women category, in addition to receiving a monetary prize, Crystal was awarded a special invitation and scholarship to attend the American Institute of Musical Studies (AIMS) in Graz, Austria. For a detailed listing of winners and photos, please see the NATS website for full article: Read more. More information on other VIRGINIA participants and photos will be added soon!